Betty and Caroline, cozy on the new couch. 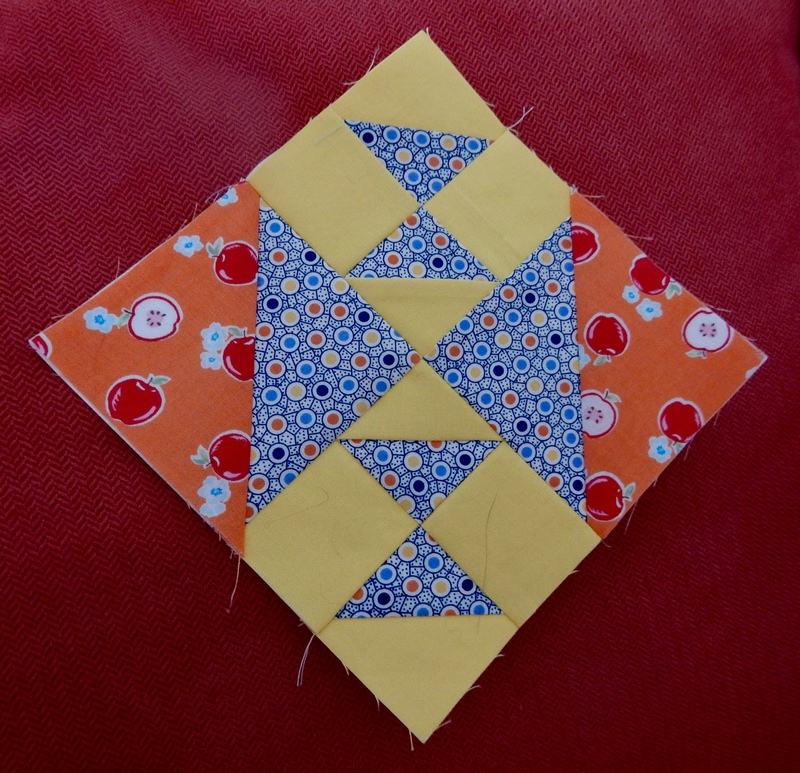 Don’t you just love picking out fabrics for quilt blocks? 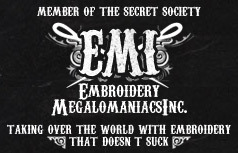 Once I’ve got that first print, that is. I just got my hands on this yummy orange colored apple print. The blue jumped right in, and then the yellow. I wanted black in my Caroline block. 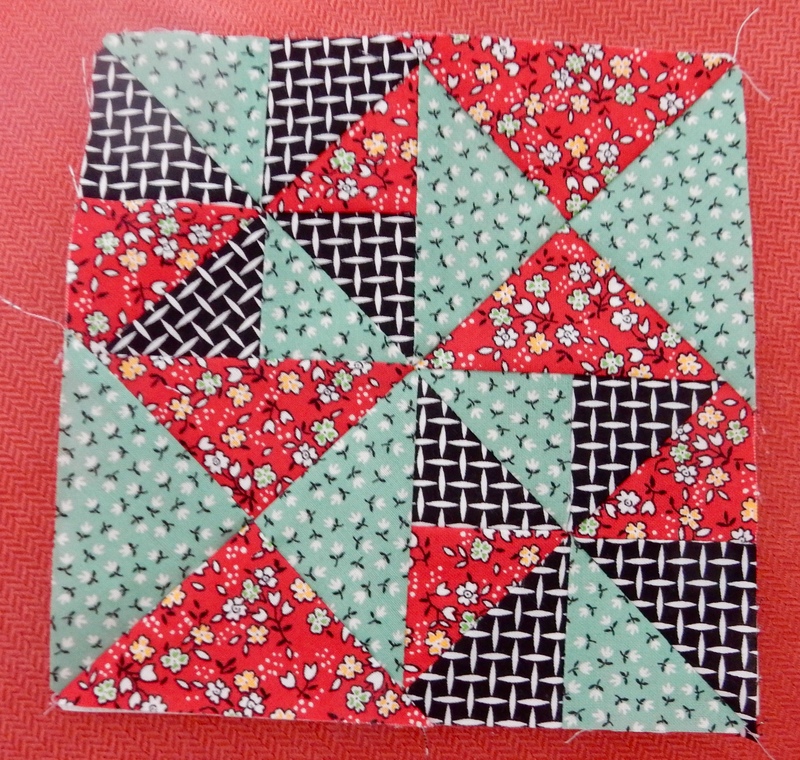 The red and green allowed for great contrast, which makes the pinwheels pop! 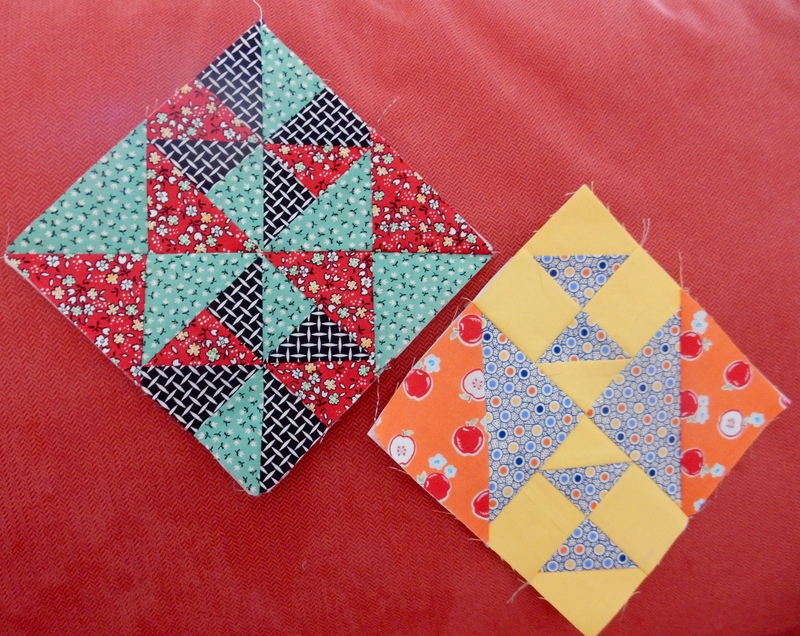 I am paper piecing my blocks, and have discovered a wonderful hint for the blocks like Caroline that have lots of pieces in lots of colors. Before I start stitching, I write the colors that I am using in the appropriate sections of the foundation papers. 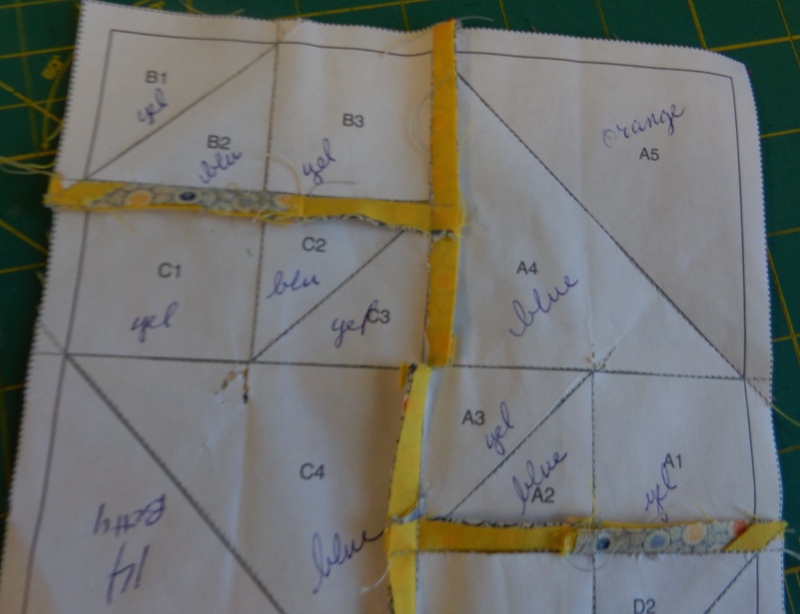 This has saved me a lot of grief in the piecing process! Write the color names in each section of the foundation papers. Too lazy to wander out into the blazing sunshine, I decided to photograph the blocks on my new couch. 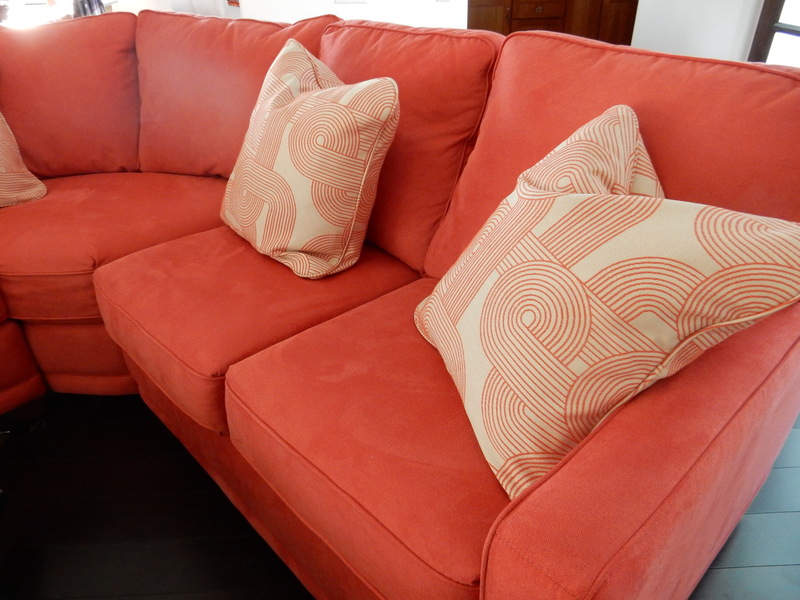 The couch is orange, but seems to show up as a different color in each picture! 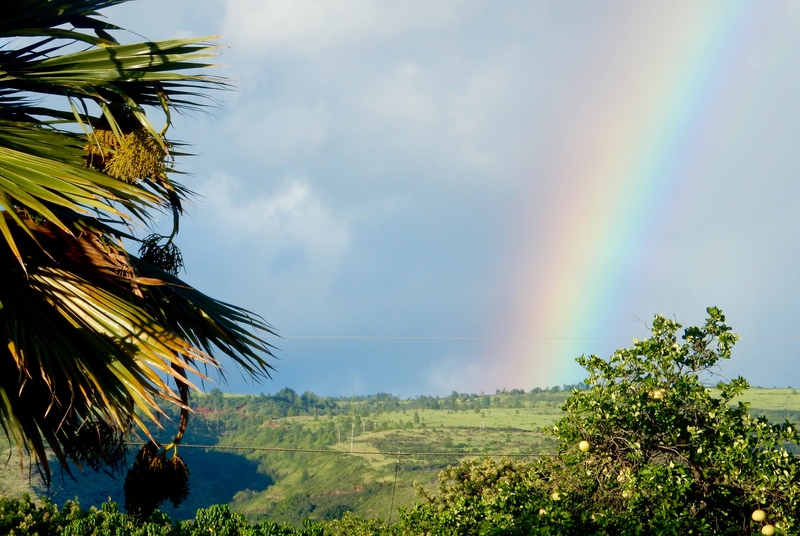 Wishing you sunny skies and rainbows! Next Halloween is coming, time to decorate the bathroom!